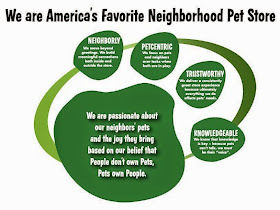 Pawsitive Impressions: Do you have an Ashleigh in your Pet Center? Wow, this story touched our hearts! This note from a neighbor in Westbury, NY, reminds us the importance of being NEIGHBORLY whether you are in a pet center or out in the neighborhood. 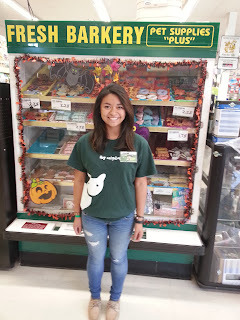 Ashleigh’s actions describe the essence of what Pet Supplies Plus is all about as she authentically acts neighborly and trustworthy. It is critical to hire team members like Ashleigh who genuinely live by our paw print behaviors. Ask yourself, have you hired an Ashleigh recently? Pat on the Back to Ashleigh for her acts of kindness. We are lucky to have you representing Pet Supplies Plus! I just wanted to point out an employee who my daughter and I came across over the weekend. We knew she was an employee due to her shirt and name tag she was wearing. She was not in the actual Pet Supplies store for she was on her lunch break. While she was waiting for her drink at the Starbucks next door to the Pet Supplies in Westbury, NY she noticed that this group of teenage girls were making comments about my daughter as her and I were waiting on line. Unfortunately, my daughter and I did overhear the comments but decided to act as if we did not. The comments that were made were regarding how she looked and my daughter does suffer from an illness that does alter her appearance. The group of teenagers did leave after their comments were made and Ashleigh, who was the employee from the Pet Supplies store as I noticed from her name tag, came over to my daughter just before she was leaving to return to the store and kneeled down next to her and told my daughter, “don’t let those girls bother you, they’re just jealous that you are more beautiful effortlessly than they ever could be even after trying.” She walked out after that. After that act of kindness my daughter lit up and brushed off the comments and I was beyond thankful for your employee’s kind words. I was not able to thank her after that because she left right away to return to work and at that time my daughter needed to be somewhere at a certain time so we were not able to thank her. I just wanted to bring awareness about this employee because I did not want her to go unnoticed for doing such a beautiful thing. She made a difference in my daughter’s life that day. I do live in the Westbury area and I do plan on thanking her as soon as possible but I just wanted to let you guys know that you have a great employee on your hands. So Heartwarming! What a great example of not only being a great team member but a great Neighbor! That seemingly simple interaction will stay a pawsitive impression with this neighbors family forever :) POTB for having the courage to speak up!